Roman Adams is accused of throwing an 8-year-old boy 31 feet from slide platform in July. 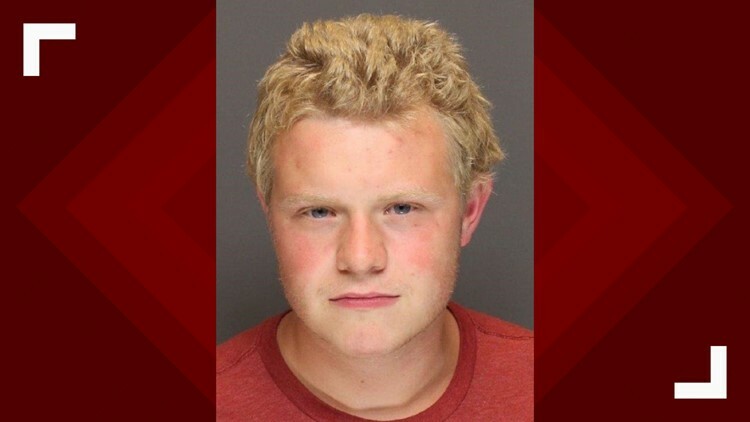 The 19-year-old man accused of throwing an 8-year-old boy off a 31-foot waterslide platform at Apple Valley Waterpark in July has been ruled incompetent to stand trial. On Tuesday Judge Timothy McManus decided the case cannot proceed due to reasons of "mental illness." Adam's attorney Eric Nelson said Adams has severe autism. "It does not come as a surprise, given the severity of his disabilities," Nelson said. "This obviously is a very tragic case and difficult to deal with. But it was very obvious from the first time I met Adams that he suffers from profound disabilities and needs to stay his treatment course." Eight-year-old Sawyer Warner suffered a broken leg and shattered bones in his shoulder as a result of the fall. According to court documents, he can now walk with a limp but cannot run or jump. Warner has further surgeries scheduled and is undergoing physical and mental health counseling. After he was arrested, Adams told police he threw the boy over the railing because the line was taking too long, according to the criminal complaint. A doctor presented a report to the court, which is not public because of medical privacy laws. Prosecutors did not appeal or ask for another opinion. With the ruling, the case is put on hold unless Adams is ruled competent. A March 4 hearing is set to review the case.